I have to wear a tie Monday through Thursday at work. Dress code, you know. Because the tie is one of only a few ways that guys can show some personality at the office, I own several of them. 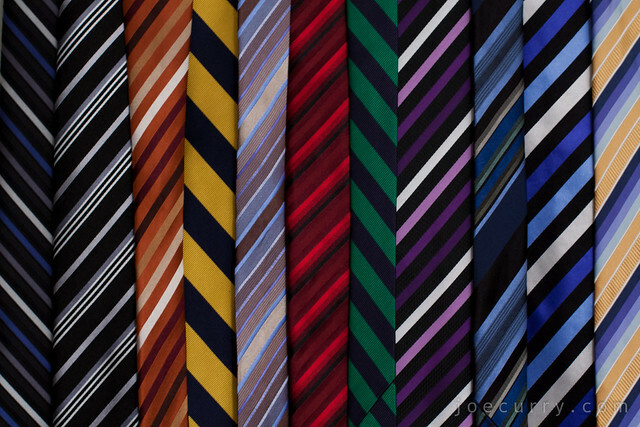 These are just the striped ties. I learned that I own 44, or 11 weeks worth of ties. Shocking, I know.